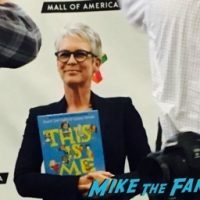 Charles Says, “Happy Halloween!” As He Meets Laurie Strode Herself, Jamie Lee Curtis At Her Mall Of America Book Signing! 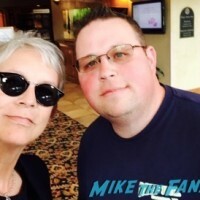 Chuck Screams After Meeting Scream Queens Star Jamie Lee Curtis! Halloween Goodness! Autographs! And More! Special Guest May 17, 2016 Chuck Our Man In Texas, Fanboying! Screaming For The Cast Of Scream Queens At SDCC! Cast Signing! Jamie Lee Curtis! Lea Michele! Emma Roberts! Abigail Breslin! And More! mike August 4, 2015 Conventions, Fanboying!